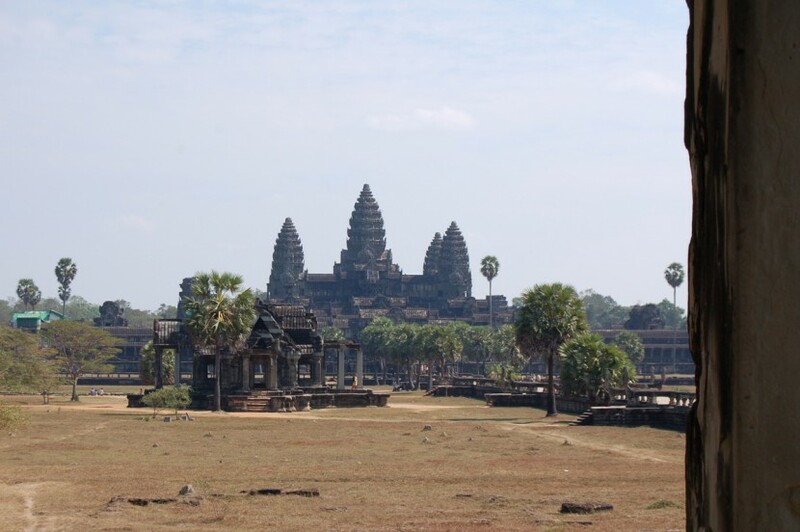 The race that produced the builders of Angkor developed slowly through the fusion of the Mon-Khmer racial groups of Southern Indochina during the first six centuries of the Christian era. Under Indian influence, two principal centers of civilization developed. 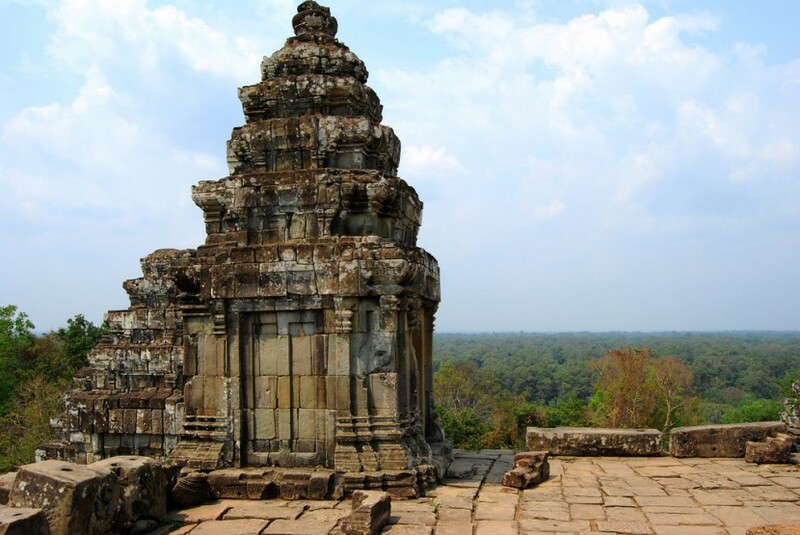 The older, in the extreme south of the peninsula was called “Funan” (the name is a Chinese transliteration of the ancient Khmer form of the word “Phnom”, which means “hill”). 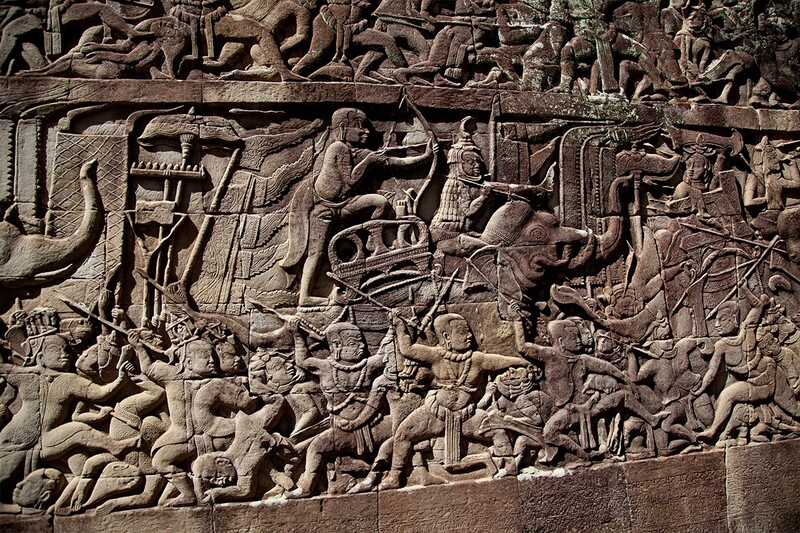 Funan was a powerful maritime empire that ruled over all the shores of the Gulf of Siam. 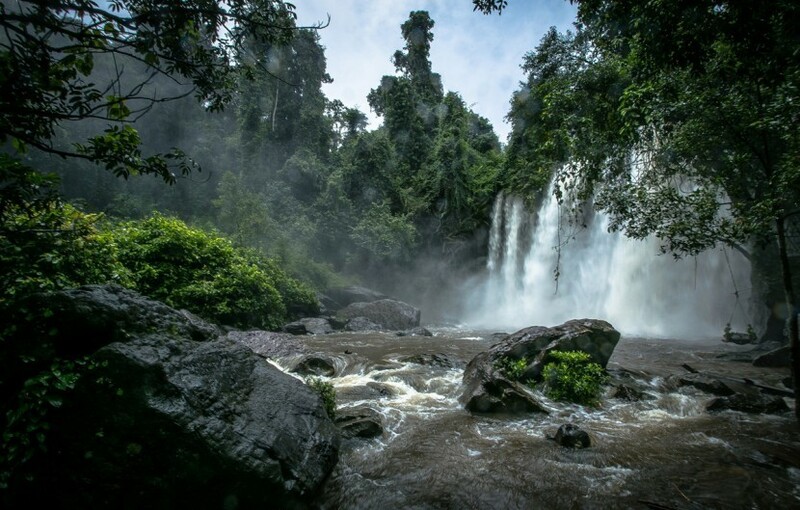 In the mid-sixth century, the Kambuja who lived in the middle Mekong (north of present day Cambodia), broke away from Funan. Within a short period, this new power known as Chenla, absorbed the Funanese Kingdom. In the late seventh century, Chenla broke into two parts: Land Chenla (to the north) and Water Chenla (to the south along the Gulf of Thailand) dominated by the Chinese. Land Chenla was fairly stable during the 8th century, whereas Water Chenla was beset by dynastic rivalries. During this period, Java invaded and took control part of the country. The first founder of Angkor was King Jayayarman II (802-850), who built one of his residences on the plateau of the Kulen in 802. 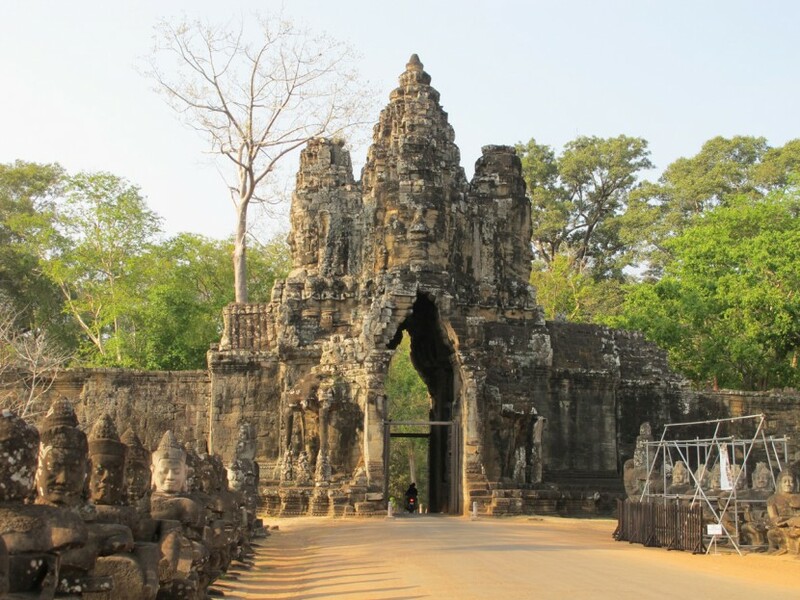 King Indravarman I (887-889), a nephew of King Jayavarman II, constructed a vast irrigation system at Lolei and then built the tower of Preah Ko in 879 and Bakong in 881. 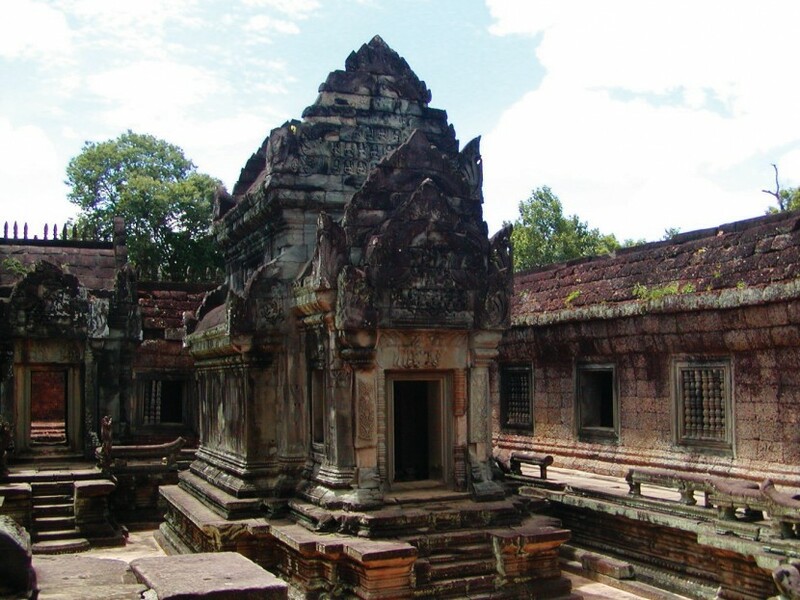 King Harshavarman I (900-923), the son of King Yasovarman, who took to the foot of Phnom Bakheng, consecrated the little temple of Baksei Chamkrong, and built Prasat Kravan in 921. King Jayavarman IV (928-941), uncle of King Harshavarman I, reigned in northeastern Cambodia near the present town of Koh Ker. He erected several majestic monuments. 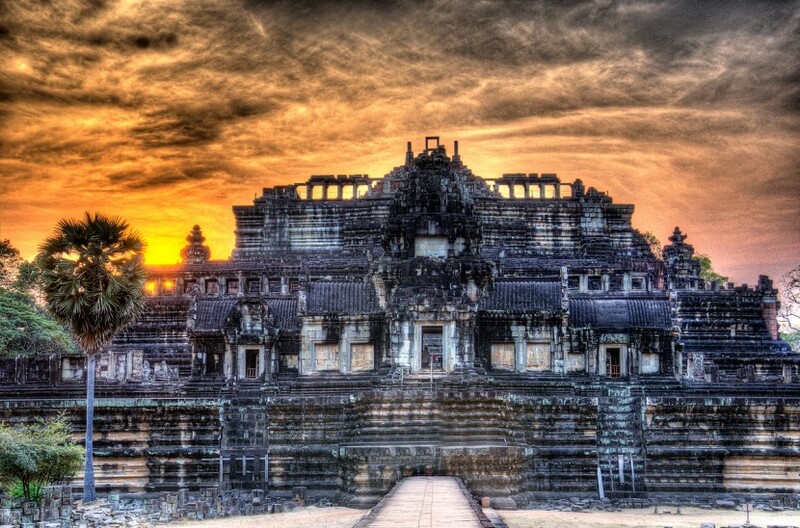 King Rajendravarman (944-968) returned to Angkor in 952 and built the Eastern Mebon and Prè Roup in 961. In 967, the Brahman Yajnavaraha, a high religious dignitary of royal blood, erected the temple of Banteay Srei, about 20 km northeast of the capital. 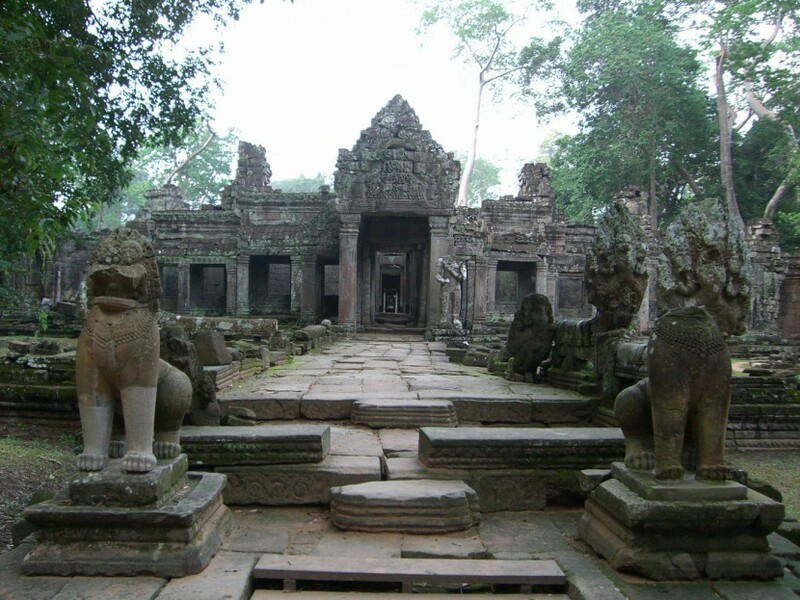 King Jayavarman V (968-1001) founded a new capital around Takeo Temple. King Jayavarman VII (1181-1220)King Jayavarman VII (1181-1220) was the most fascinating personality in Khmer history. He re-established his rule over all of southern Indochina and is best known for his huge building program. 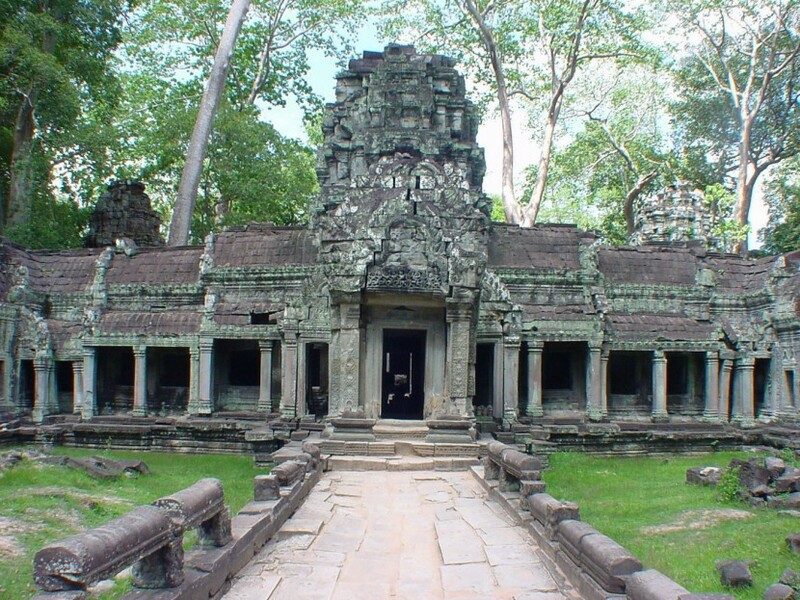 He built Ta Prohm (1186) and Preah Khan (1191) as a dedication to his parents. 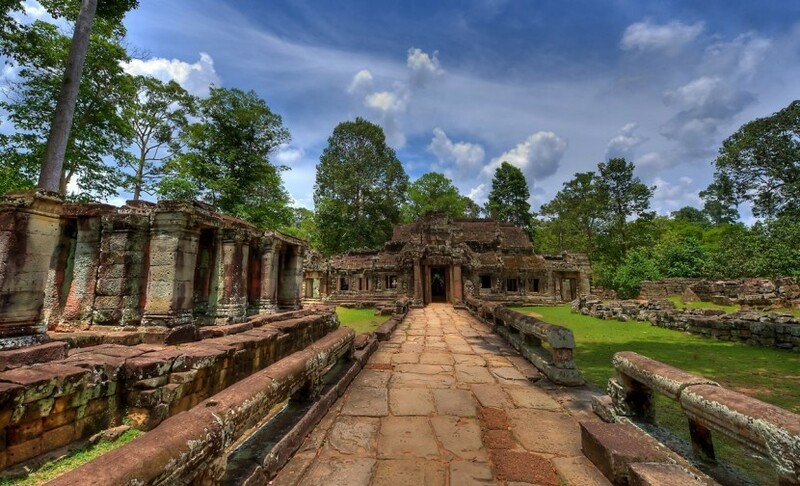 Then he erected Banteay Kdei, Srah Srang, the Terrace of the Leper King, the Terrace of the Elephants, Neak Pean, Ta Saom, Ta Nei, and a few monuments in other parts of the country. 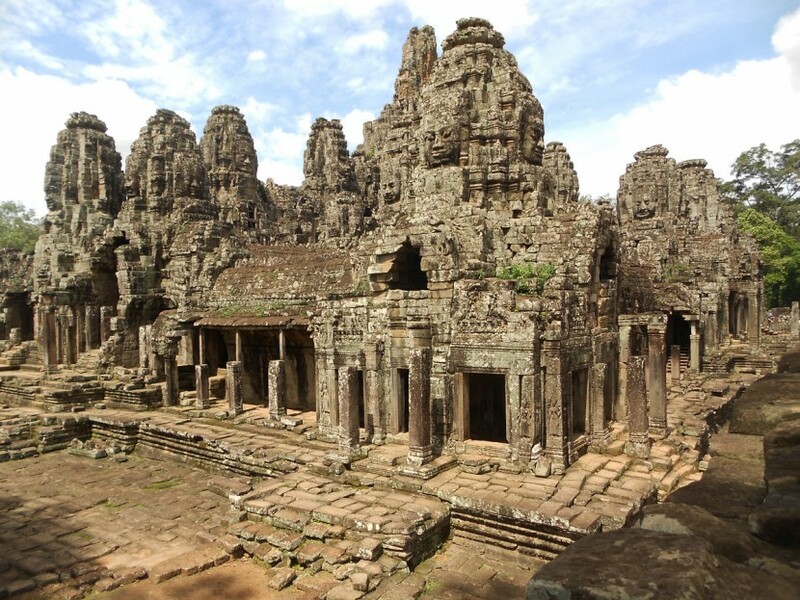 It was he who founded his great capital, Angkor Thom and in the center of which, he built the Bayon temple with its two hundred stone faces.